Miracote manufactures an array of solutions for pools and pool decks, in fact, for virtually any construction project where water control is a priority, including fountains, spillways, aquatic tanks, water and wastewater facility structures, planter boxes and foundation waterproofing. Specifically engineered to hold up against mechanical wear and abrasion, impact, water immersion, UV rays and various climate conditions, our water proofing products are environmentally friendly and LEED compliant. We also have a wide array of sealers, primers and decorative concrete overlay systems to create, repair or refurbish, stunning pool decks. Each product/system is a proven performer, with years of in-field applications and testing behind it. Whether you are putting in an in-ground pool, or building an entire wastewater processing plant, Miracote has the products, expertise and resources you need. Miracote ColorPax W pigment is a formulated coloring dispersion that is mixed with water based clear systems. ColorPax W creates a homogenous coloration dispersed in clear liquid water based products to create a full depth color that is colorfast, resistant to ultraviolet degradation and is not subject to photo-induced deterioration. Miracote Mirastain is a co-polymer and water-based carrier concentrate solution designed to be field mixed to formulate an Architectural Accent Stain to color surfaces of many poured-in-place cement, mortar or concrete construction materials. Miracote Mirastain base dilution is achieved by adding a Miracote high-grade Colorpax-LIP dispersion and a specified proportion of a specified grade of a safe solvent to the Mirastain II Base. The derivative product known as Miracote Mirastain is a co-polymer and water-based carrier solution specifically formulated to penetrate concrete, masonry and polymeric enhanced cementitious surfaces to provide color tinting or staining of the surface. Miracote Mirastain is designed to accept most water-based sealers and is specifically formulated to accept Miracote's water-based MiraGard HDWB clear acrylic in water solution; MiraFlor WB, water-based clear epoxy; MiraPrime ML, water-based epoxy; and MiraThane WB. Also, MiraFlor CQ Clear, a high solids clear two-component epoxy; or MiraFlor Glazetop, a high-solids clear aliphatic elastomeric polyaspartic, is often applied as a protective finish on decorative flooring applications. Miracote Mirastain yields a flat luster, which can be enhanced with Gloss, Matte or Satin sealers as desired. Miracote Mirastain is recommended for use over concrete. Miracote MPC, MiraStamp, Miracote MT, Miracote MT-DP, and can be applied over most cement based self-leveling systems, masonry and polymer modified cementitious substrates when a flat Architectural accent color is desired to provide a vibrant, translucent color tint that transforms any surface into enhanced intricate designs and décor. For added diversity, Miracote Mirastain can be applied over integrally colored substrates or substrate that have received chemical reactive staining to further develop accent color or variegation. Simultaneous application of multiple color tints can yield many interesting tones and mottled effects. Miracote Mirastain, however, will deliver relatively consistent results over Miracote MPC-MT or MiraStamp applications because the substrate materials are factory controlled. Safe to handle using conventional protection. Easy to clean using water and soap. Can be rolled, sprayed, sponged or ragged. Excellent resistance to most solvent-in-solution sealers (check with Miracote for recommended sealers). UV stable colors: specially formulated high-grade pigment dispersion. Application on interior or exterior surfaces. Color is topical, so there is no reaction with substrate elements to alter color or change profile. No residue to clean up, carrier dissipates and is safe in the atmosphere. Does not require rinsing or neutralization before application of sealer. Available in all Miracote standard and custom colors. In field variation and flexibility, both dilution and pigment concentration can be adjusted. 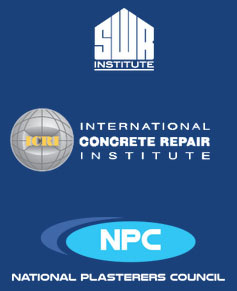 Concrete Restoration and Protection projects - Resurfacing new concrete slabs that are flawed or discolored - Parking decks, columns, walls and ceilings - Bridge Parapets and Abutments - Renovations to Stadiums and Arenas - Resurfacing of balconies and breezeways - Driveway and sidewalk resurfacing - Pool decks and patios - Building entrances and stairs - Concrete and masonry water tank linings - Decorative floor finishes and microtoppings. Miracote MPC-MT is a two-component, polymer-modified, multi-purpose, cementitious concrete topping that can also be applied over a variety of other surfaces including masonry, wood, tile, formica and metal. It consists of a unique rubber-like polymer liquid which is mixed with a proprietary powder blend consisting of either natural gray or white cements and regular or smooth aggregates. The regular and smooth aggregate blends are designed for application in combination and a specific sequence to transform and restore existing concrete surfaces with a limitless choice of decorative and faux finishes that exhibit superior durability and wear resistance. Miracote MPC-MT is typically applied in three or more micro layers by hand trowel, magic trowel, broom, brush, roller, spray or with a notched squeegee and back roll. Miracote MPC-MT can be integrally pigmented with Miracote ColorPax LIP or stained with Miracote Mirastain, or both pigmented and stained. The Miracote MPC-MT application starts with base and intermediate coats that utilize the regular aggregate powder blend to provide the backbone for the concrete topping installation. For contribution to architectural and decorative elements, the smooth aggregate powder blend is utilized as a grout and to achieve uniquely distinctive textures. 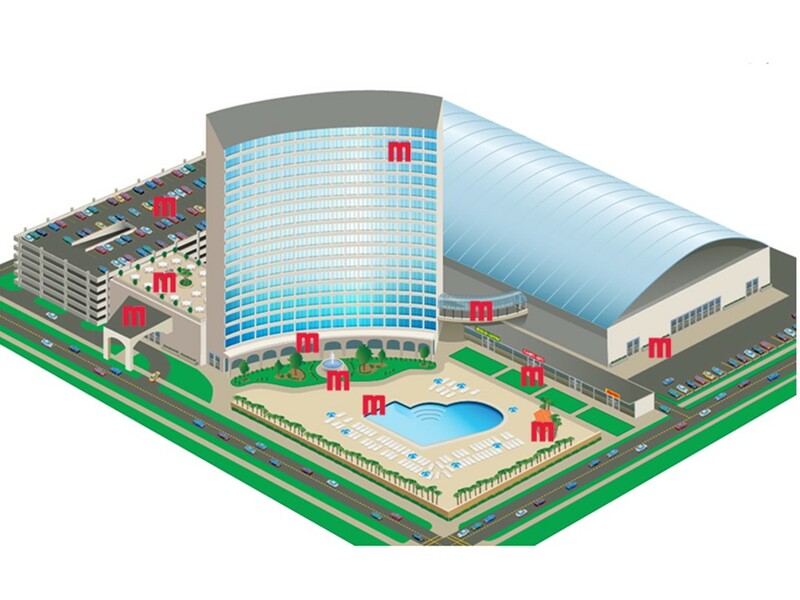 Miracote MPC-MT is an extremely durable, cost-effective protective flooring material exhibiting extraordinary adhesion. It is also “breathable” allowing for the transmission of moisture vapor in the concrete without compromise to adhesion. For maintenance and protection of Miracote MPC-MT, it should be sealed with any one of several available clear, water-based Miracote sealers and topcoats such as MiraThane WB (aliphatic polyurethane), MiraGard HDWB Sealer (acrylic), or MiraFlor WB (epoxy). Depending on specific service and exposure conditions, other clear sealers and topcoats are available to protect the Miracote MPC-MT application. Most Miracote sealers and topcoats are available in Gloss, Satin and Matte finishes. Miracote MPC Retarder is a single component additive that can be utilized to lengthen the working time of Miracote MPC and MiraStamp. More specifically, the liquid is utilized in situations where the temperatures are above 85°F. The product adds valuable working time in conditions up to 95°F. It is not typically used under normal conditions up to (65 - 84°F), as the cure time may lengthen. One bottle of the Miracote MPC Retarder is simply added to a 5gallon container of Miracote Paste. This additive does not effect the performance of the fully cured final product. Use with Miracote MPC or MiraStamp. Miracote MT-DP is an add water mixed at site dry polymer and cement thin-section, composition decorative coating system which gives the appearance of concrete. Miracote MT- DP is available in white in two blends of either regular or smooth inert aggregates and can be integral pigmented with ColorPax-LIP. Typical thickness is approximately 3/32 of an inch (2.4 mm) and is light in weight and at approximately 1.2 lbs. per square foot. Miracote MT-DP will enhance retail stores, outlets, food and beverage service establishments, and restrooms; floors, surfaces in public areas, in hotels, theme parks, museums, schools and universities. Miracote MT-DP produces an extremely durable, low cost, yet attractive appearance. It can be used in the widest ranges of climates and is offered in slip-resistant profiles. It can be antiqued or chemical-stained producing coloration and texture options that provide depth, dimension and accent features unique to each application. Each application of Miracote MT-DP is a unique expression of the installation contracting artist and is not a manufactured look, but rather a compilation of materials, color, skills and experience that combine to tailor an attractive architectural design accent to compliment any surrounding environment. Miracote MT-DP provides a tough retardant coating, which substantially reduces or prevents water penetration, freeze thaw scaling and concrete carbonation. Microtopping DP is a "breathable" coating, which releases normal entrapped vapor without loosening or blistering and is suitable for an on-grade installation affording a very wide range of application possibilities. Miracote One Regular is a single component, polymer-modified, cementitious, microtopping that only requires the addition of potable water on site for use in resurfacing and beautifying concrete and other compatible substrates. Available in proprietary blends of both white and natural gray cement, Miracote OneRegular can be integrally pigmented with Miracote ColorPax-LIP or stained with waterbased Mirastain, or it can be both pigmented and stained to achieve a limitless choice of distinctive finishes. Designed for both interior and exterior use, Miracote One Regular is typically applied in two or more coats by magic trowel, hand-trowel, brush, roller spray or notched squeegee and back roll. For care and maintenance in service, Miracote One Regular requires the applicaiton of a protective Miracote sealer or coating. Depending on specific conditions and service requirements, contact a local Miracote representative for the most appropriate product selections from our MiraGard, MiraThane or MiraFlor coating technology groups. Extensive choice of colors, textures and patterns. Miracote One Smooth is a single component, polymer-modified, cementitious, micro-topping grout or finish coat that only requires the addition of potable water on site for use in resurfacing and beautifying concrete and other compatible substrates. Due to an extremely fine particle size, Miracote One Smooth is designed and intended only for use over base coats of Miracote One Regular in microtopping applications. Miracote One Smooth can be integrally pigmented with Miracote ColorPax-LIP or stained with Miracote Mirastain, or it can be both pigmented and stained to achieve a limitless choice of uniquely distinctive designs and textures. For care and maintenance in service, Miracote One Smooth requires the application of a protective Miracote sealer or coating. Depending on specific conditions and service requirements, contact a local Miracote representative for the most appropriate product selections from our MiraGard, MiraThane or MiraFlor for coating technology groups. Miracote MiraGard Colorbond XL is a single component self-crosslinking acrylic finish coating for two-coat application to Miracote MPC in new or recoat work. Important characteristics of MiraGard Colorbond XL are its durability and excellent weathering qualities. Miracote MiraGard Enriching Sealer is a nano scale premium, ‘wet-look', non-aqueous, penetrating sealer formulated to provide maximum stain protection. MiraGard Enriching Sealer is a non-VOC, green technology formulation. Designed for use as an easy-to-apply sealer for polished concrete. It is also an excellent enriching sealer for natural stone, brick, saltillo tile, and other concrete installations. MiraGard Enriching Sealer can be used in both interior and exterior service. It possesses excellent resistance to ultraviolet light including freedom from color change or degradation. Miracote MiraGard HD 100 sealer is a very low VOC blend of proprietary acrylic resins and solvent in dispersion specifically formulated to be resistant to oil, grease, brake fluid, salt, calcium chloride, limited caustics, dilute acids, kerosene, alcohol and abrasion. MiraGard HD 100 is a superior, stain and mar resistant sealer that is truly resistant to tire marking, and is readily cleanable using conventional methods. -Driveways, patios, pool decks, garage floors, loading docks, balconies, decks, etc. Miracote MiraGard HD 400 sealer is a blend of proprietary acrylic resins and solvent in dispersion specifically formulated to be resistant to oil, grease, brake fluid, salt, calcium chloride, limited caustics, dilute acids, kerosene, alcohol and abrasion. MiraGard HD 400 is a superior, time tested, stain and mar resistant sealer that is truly resistant to tire marking, and is readily cleanable using conventional methods. Miracote MiraGard HDWB sealer is a VOC compliant, water-based dispersion specifically formulated for excellent chemical and abrasion resistance, including exposure to oil, grease, brake fluid, salt, calcium chloride, limited caustics, dilute acids, kerosene, and alcohol. Advanced chemistry offers improved adhesion to cementitious, tile and glass substrates. MiraGard HDWB offers superior performance for water-based formulations with resistance to blushing, whitening or blistering. MiraGard HDWB is a superior, time tested stain and mar resistant sealer that resists tire marking and is easy to clean using conventional methods. MiraGard HDWB is recommended for use over concrete or masonry surfaces and over Miracote's MiraStamp and Miracote MPC products to improve resistance to certain chemicals and to provide a tough, durable high "gloss" or low "matte" sheen sealed finish. MiraGard HDWB is also used as a sealer for concrete, terrazzo, flagstone or other masonry surfaces. It is particularly durable in high traffic areas. MiraGard HDWB is also used on driveways, patios, pool decks, garage floors, loading docks, balconies, decks, etc. Faster cure speed in cold weather versus standard repair mortars. Cures rapidly, as low as 45°F. Just need water. Redyuces mixing errors. Thickness above 1-1/2" can be achieved by incorporation of pea gravel. MiraPatch RM 1 is Zero-VOC, virtually odorless, and environmentally safe. It requires no special training for installation and is easily handled by a handyman mason. It sets rapidly, can be applied over damp (not wet) surfaces, and can be installed at temperatures as low as 50F (10C). Miracote MiraStamp basecoat is a polymer modified, two- component cementitious, thin-stamped overlay applied in conjunction with color, stains and sealers to produce decorative Architectural paving finishes. MiraStamp has very high compressions strength and is suited for continued exposure to commercial vehicular and pedestrian traffic. The system consists of a wet primer application, basecoat latex-modified mortar pigmented with Miracote ColorPax LIP, MiraStamp LR(Liquid Releas), Miracote Mirastain, and Miracote protective clear sealers and topcoats. Available sealers are designed for various conditions and traffic. Most all available stamps can be used with the MiraStamp system with little or no modification to traditional stamping techniques used to produce a number of attractive patterns. MiraStamp Architectural paving system is installed as a 1/4" to 5/8" decorative overlayment.